Foster families are CRUCIAL for saving the lives of shelter dogs. For a rescue to be able to quickly pull a dog before it is euthanized, they MUST have somewhere for that dog to go. Fostering is a short term commitment that SAVES LIVES. 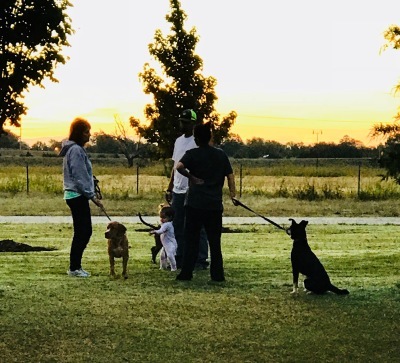 Many healthy and adoptable dogs are euthanized each day simply because there are not enough families who are willing to open their hearts and homes to a shelter pet in need. Can YOU be that family to save a life? Can YOU open your home to a shelter dog for a short time to save his/her life? Can YOU be that HERO they so desperately need?? Foster Families are CRUCIAL for saving lives of shelter dogs! Many unwanted puppies are found dumped... Homeless and alone. These guys just need a warm place to hang out and some extra love until they are able to be adopted. Often it's a mom and puppies needing saved or a pregnant mom. Are YOU their hero? You are the most amazing of them all! You should be cloned because we need 1000's more of YOU!! Large dogs are the hardest to find fosters and adopters for and the majority of what is getting euthanized. If you have a love for big dogs, we desperately need you! These dog have a HUGE heart and just need a little compassion. Can you be a hero? Too often we get severely abused, neglected, blind, deaf, or any other special needs dog. Are you that special person that will open your heart to a special needs dog? Small dogs may be small but oh the love they give is BIG! WARNING: History has shown you may fall in love and never give them back. Our men and women in uniform who are deploying to protect our great nation do not need to worry about their loved family member at home...or even worse, have to surrender it to an already overloaded shelter system when they are called to duty. Can you open your home to foster their loved pet? Not so much a dog person? Then foster a cat, they urgently need saved too!! I Want to be a Fido Foster...SIGN ME UP!! Please specify what type of Fido Foster you are interested in.